Written by Charles on February 19, 2016 in Blog. Maui is full of amazing boutique shops that will help you express love and appreciation for all the people back home who will no doubt be jealous of your tan, sun-kissed skin and vibrant smile. As soon as you hand them a gift from Hawaii, it’s all good. Got disposable income? Then go to Na Hoku boutique at the Shops at Wailea (actually Na Hoku is all over Maui but somehow shopping in Wailea makes it feel more opulent). 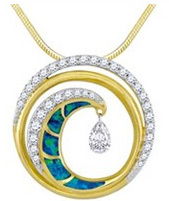 Here you’ll find high-end Hawaiian-inspired jewelry such as a gold plumeria-shaped pendant with yellow sapphires and diamonds or White Gold Tahitian Black Pearl Drop Earrings with Diamonds, among others. Here’s an insider tip from us locals: if you want a true piece of Hawaiian jewelry, get a sunrise shell pendant or earrings. 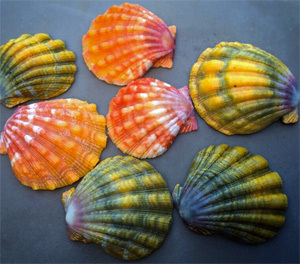 These small but durable scalloped-shaped shells come in orange, red and sometimes even green — and they’re considered semi-precious. It’s super rare to a sunrise shell on the beach; in fact, they say “the sunrise shell finds you.” You can, however, buy them in select boutiques around the island, or just ask this Instagrammer. You can’t ever really go wrong with a t-shirt that’s carefully picked out. Crazy Shirts is the place to go for that — their designs run the gamut of classic Hawaiian prints to kitschy “local style” themes (like sumo wrestler spam musubis). There are six Crazy Shirts locations on Maui. 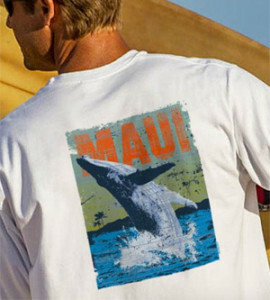 If you want a “local style” t-shirt that can be found only on Maui (not even on the web), pay a visit to the Maui Built Co located by Safeway in Kihei. 808 Clothing in the Kihei Kalama Village also has locally-made tees. Bringing home beach attire is cool because it’s a direct reminder how you don’t need technology to survive in Hawaii — just a few pieces of cloth to cover your essentials. And what not a better place to get affordable beach attire than any given ABC Store. You can find simple beach stuff here like bags, hats, beach towels and covers-ups. Don’t forget the shell lei! ABC Stores are all over Maui (all the Islands, actually), but the biggest one in Kihei is located by Chevron Gas Station at 2349 South Kihei Road. 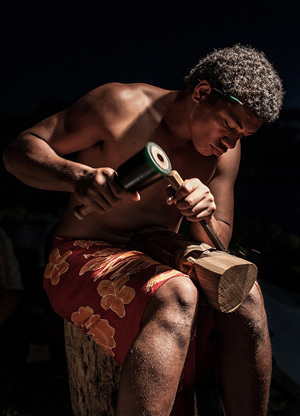 If you walk around Front Street in Lahaina, especially around the Banyan Tree, you will no doubt see the Samoan carvers doing their thing — carving elaborate wooden tikis from Hawaiian woods such as koa, palm and mango. Once you pick out your piece, they will be happy to engrave some words of your choice. If you can’t make it to Lahaina, there’s a carver every Fridays inside the lobby of the Fairmont Kea Lani resort. Also, if you’re by the Banyan Tree in Lahaina, go to Maui Memories in the historical building of the Pioneer Inn. 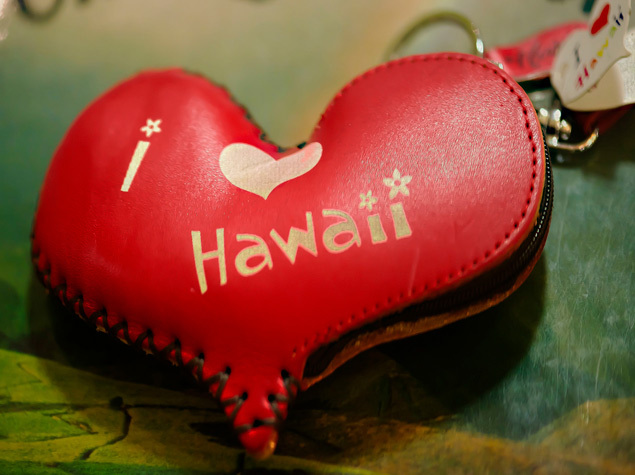 Here you’ll find upscale yet affordable souvenirs, artwork, jewelry and clothing with a focus on Made-on-Maui items. A perfect place to support local businesses! Food in Hawaii is a really big deal, and there’s no shortage of excellent treat you can find to share with your buds. The Kihei Kalama Village has all delicious, homemade Hawaiian flavored jam (pineapple, mango, banana, poha) and flavored butter (lilikoi, mango). Don’t forget the Hawaiian staples, either: Hawaiian-grown coffee, macadamia nuts, chocolate-covered macadamia nuts and sea salt. You can find all of the above for a reasonable price at Longs Drugs in Kihei. Pineapple, you say? It’s possible thanks to Mr. Pineapple at the Shell Station on Dairy Road a couple of blocks from the entrance to the airport. 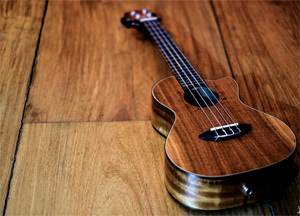 Ukuleles make excellent gifts for the musician (or aspiring musician) in your life. The “fun” ones made in China can be found at supermarkets like Foodland. But if you’re into a better, higher quality selection — like a hand-crafted solid koa uke — go to Bounty Music at 111 Hana Hwy in Kahului. Tip #1: Want to have a blast and get ALL your souvenir/gift shopping done in one visit? Go to the famous swap meet in Kahului from 7am – 1pm on Saturdays (50¢ admission!). And when we say ALL your gifts, we mean ALL of them! Tip #2: Never, ever, ever bring home lava rock from Hawaii — not even sand! It’s bad luck and you will upset Pele, the goddess of fire and volcanos. It also erodes the natural beauty of our Islands. Just come back for more!